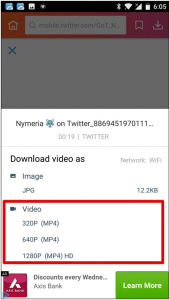 Here, in this tutorial, you would be able to download or save Twitter videos on your Android and iPhone to easily access and play them as and when you want. If you want to download Twitter Videos on your Android and iPhone, then following tutorial, you would be able to download or save Twitter videos on your Smartphone. Twitter has more than 500 million users, out of which more than 332 million are active. 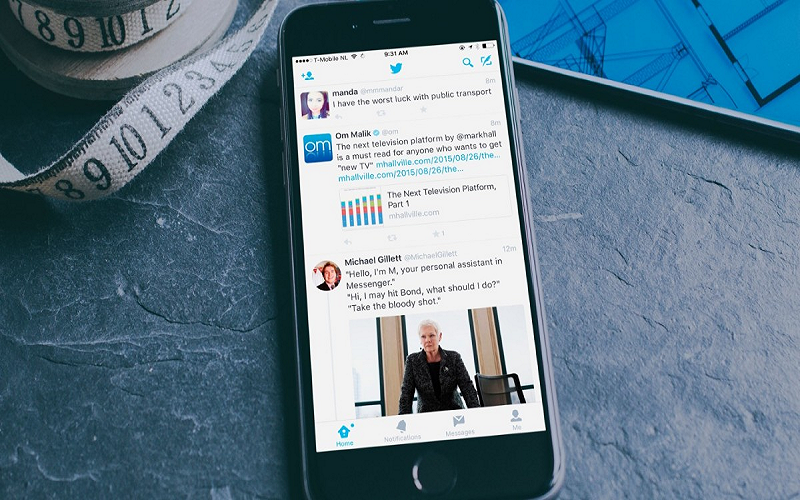 Twitter offers to share images, links, content, and videos. When posting a tweet you can link to pretty much any video, including YouTube, Flickr, and Vine, with short videos being mostly greeting and shared. Some most popular videos have been rewetted thousands of times. 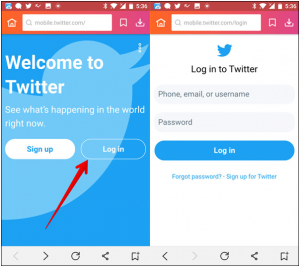 First Twitter introduced animated GIFs which you can download on Android and iPhone, and now you can also download Twitter videos on Android and iPhone. 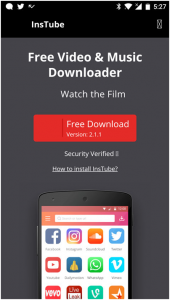 Having an Android Smartphone is an added advantage as you will be able to get an abundance of options for downloading apps. 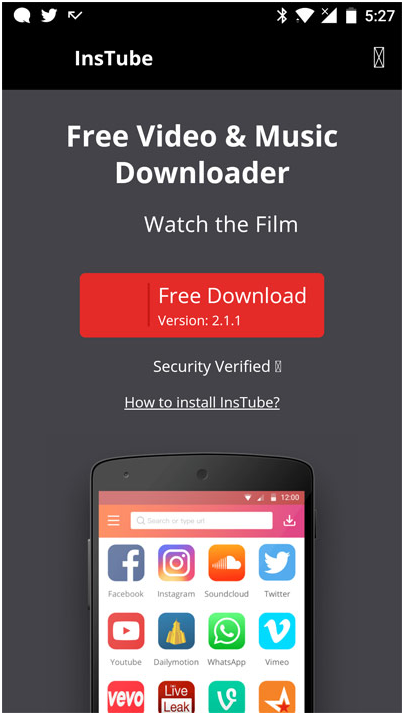 For us, Instube app is better than the others so first, you need to download Instube app on your Android phone. Step #1. Launch the Instube app and select Twitter from the main menu. Step #2. 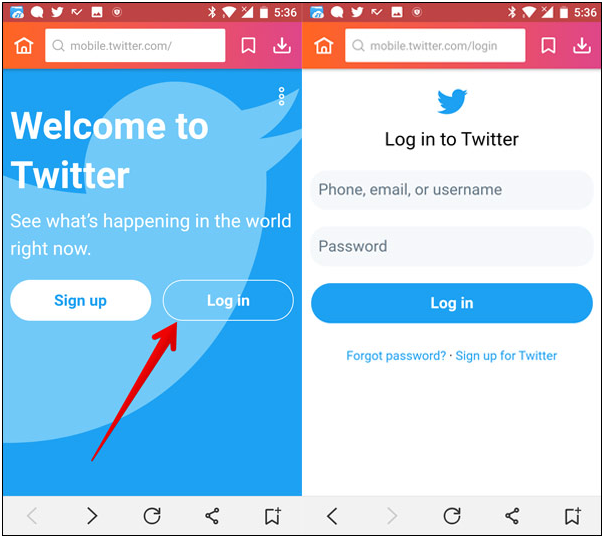 Next, the app will show you the new Twitter look out, you need to sign in with your Twitter account. Step #3. On the next screen, you will receive your latest Twitter feed in the InsTube app. Look for the video which you want to download and tap on it. Step #4. Next, Tap on the red download button on the right button side of the app. Step #5. After few seconds, the popup menu will appear to ask you to choose download format. 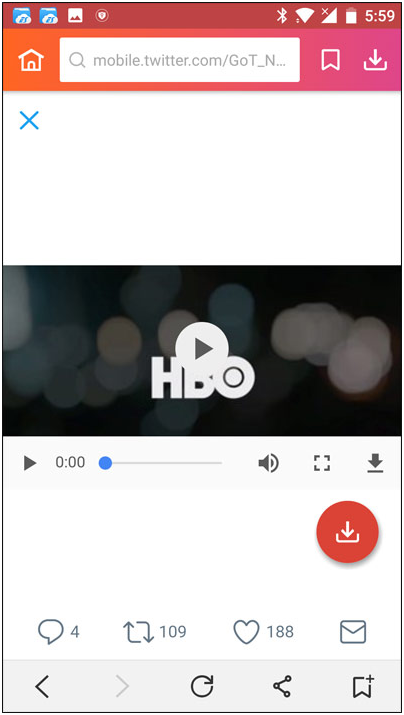 Select the video format and wait for a minute to download start. 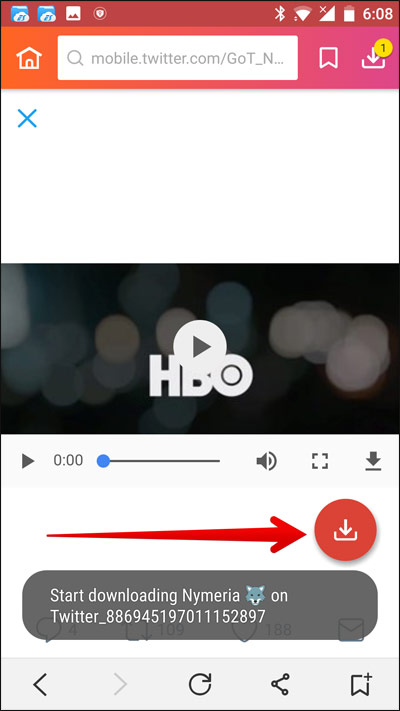 Once the download process has been completed, you can see the downloaded video by tapping on download icon at the top right corner of the app. You can see there three categories – Download, Video, and Music. 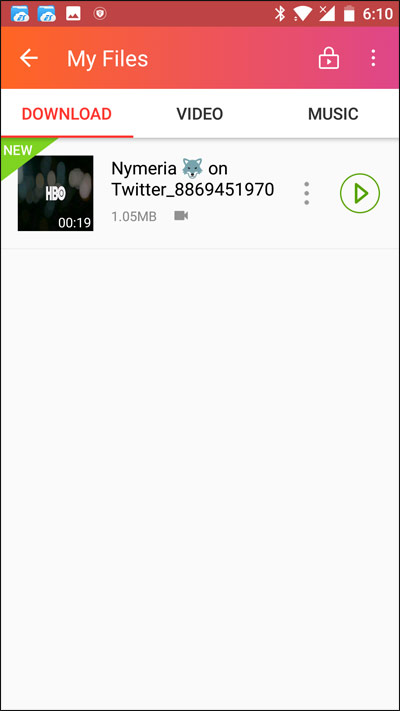 Your recent downloaded video will appear in the download, you can play it whenever you want. Step #1. Launch the Twitter app on your iPhone. Step #2. Go to the Video tweet from which you want to download a video and tap on the downward arrow located at the top right corner of the tweet. Step #3. Now, Tap on Share Tweet via. Step #4. Open any browser Safari or Chrome and go to Downloadtwittervideo.com. Tip: You can even try Twittervideodownloader.com or Videograbber.net for much easier download. Step #5. 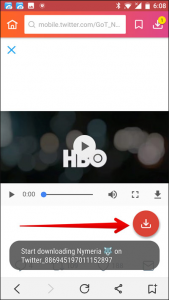 Paste the video link in the address bar which you have copied in Step #3. Step #6. 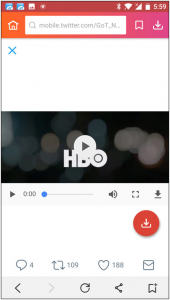 Now tap on the Download button, and you can now save that video on your iPhone. 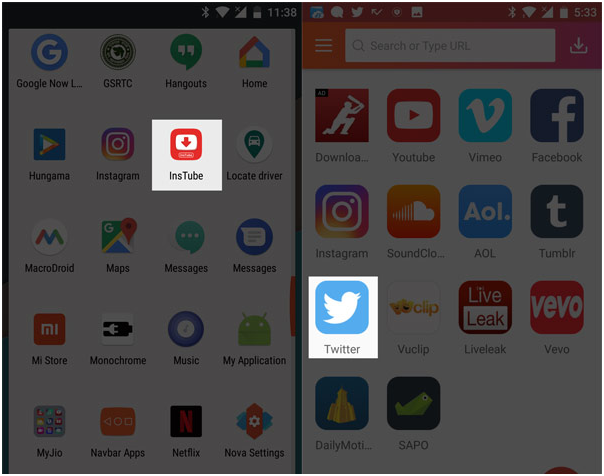 These are the two best ways to download your much loved Twitter videos, and it doesn’t matter whether you are using Android or iPhone. a user of internet so from now I am using net for content, thanks to web. Thanks for sharing the awesome post. It is perfect time to make a few plans for the long run and it is time to be happy. I have read this put up and if I may just I want to suggest you few attention-grabbing things or suggestions. Perhaps you can write subsequent articles relating to this article. I wish to read more things about it! Very nice post. I just stumbled upon your blog and wanted to mention that I’ve really loved browsing your blog posts. In any case I will be subscribing in your feed and I am hoping you write once more soon!